When will be Bruno & Boots next episode air date? Is Bruno & Boots renewed or cancelled? Where to countdown Bruno & Boots air dates? Is Bruno & Boots worth watching? 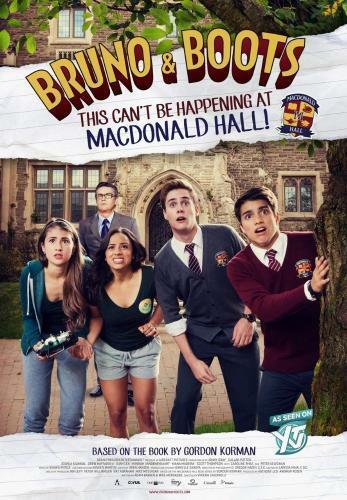 The most infamous troublemakers at Macdonald Hall Boys' School are bringing their pranks to YTV in Bruno & Boots, based on the much-loved Macdonald Hall book series by best-selling young adult author Gordon Korman. Bruno & Boots is a Made for TV Movie Franchise that will be airing it's 3rd installment in 2017. Bruno & Boots next episode air date provides TVMaze for you. EpisoDate.com is your TV show guide to Countdown Bruno & Boots Episode Air Dates and to stay in touch with Bruno & Boots next episode Air Date and your others favorite TV Shows. Add the shows you like to a "Watchlist" and let the site take it from there.